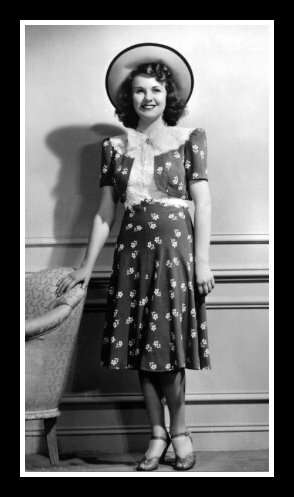 The Deanna Durbin Devotees has a rich history. 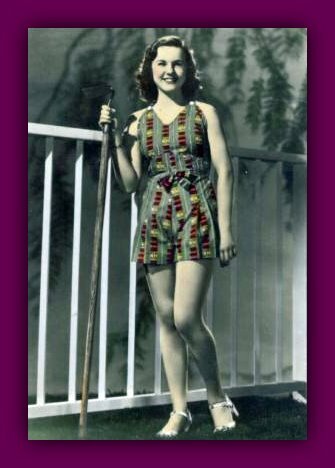 The original Deanna Durbin fan club was founded in 1937 by four teenage girls (Marguerite Slancy, Mary Blockwell, Ann Inman, Marian Jentz). The fan club published a newsletter called DEANNA'S JOURNAL. 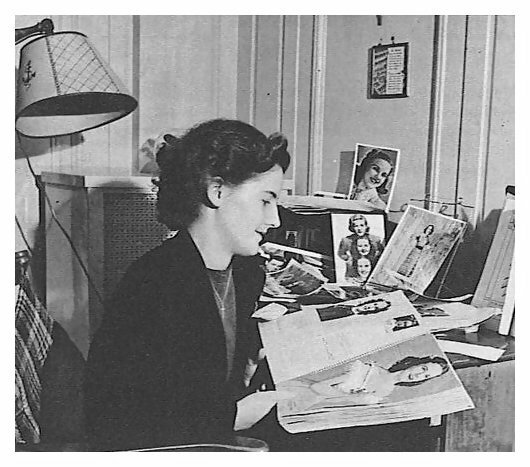 In an issue of LIFE magazine a feature on Deanna Durbin generated many fan letters. One of the letters was written by Jay Gordon who wrote, "Thanks a million for the liveliest picture ever printed in LIFE - that full page photograph of Deanna Durbin. I'm framing it and redecorating my room around that picture!" 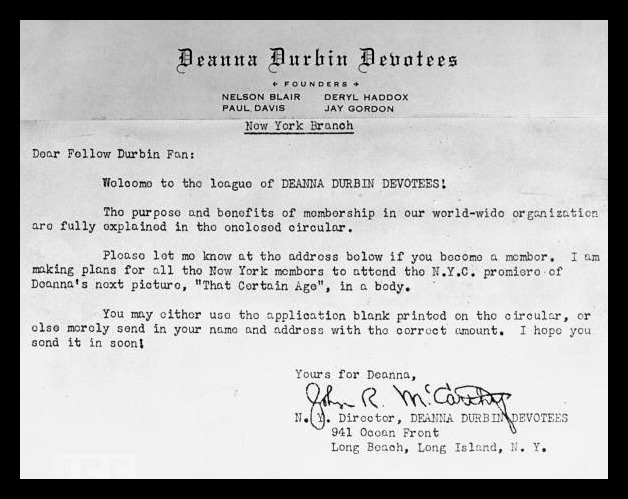 Gordon received hundreds of letters and decided to form his own fan club called the Deanna Durbin Devotees which eventually merged with the original club. The newly organized club soon enjoyed its own feature article in LIFE magazine (3 October 1938) in a profile that detailed club activity. 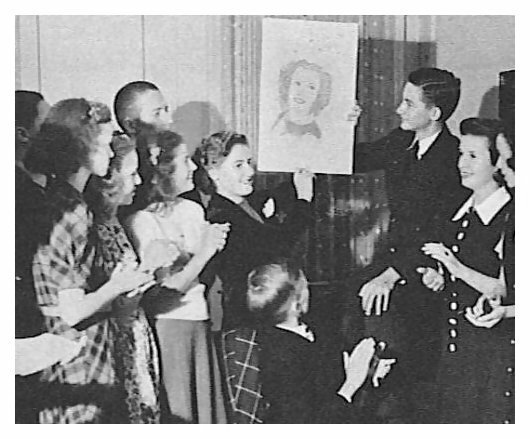 Within two years the Deanna Durbin Devotees had grown to over 300 chapters and the largest fan club in the world. 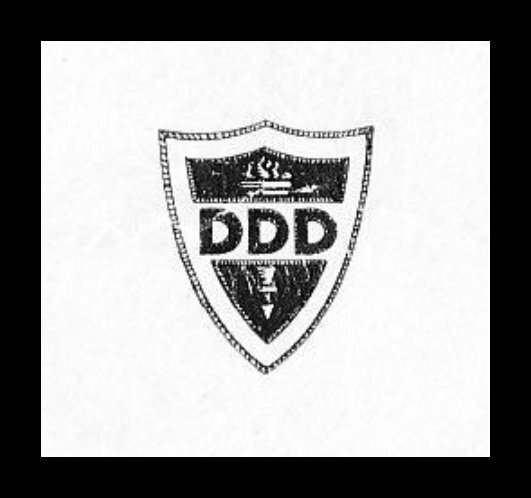 A quarterly newsletter called DEANNA'S DIARY was posted to all members. 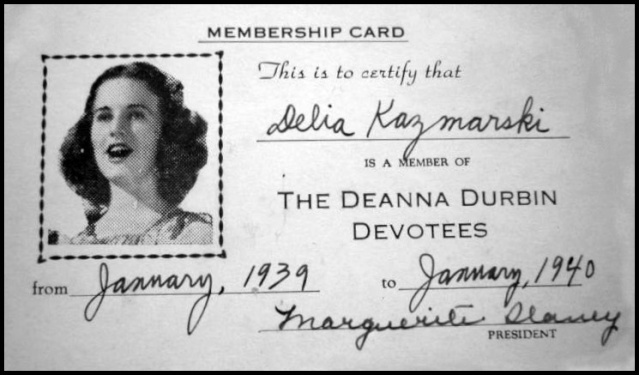 Today, the Deanna Durbin Devotees administrator uses the Internet to communicate and publish information for the rapidly increasing membership. 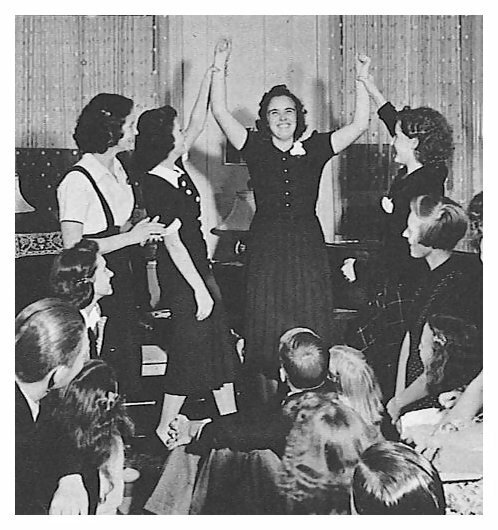 One of the goals of the Devotees was to have Deanna Durbin constitutionally declared Queen of the United States! John McCarthy is still a member of the Deanna Durbin Devotees!! 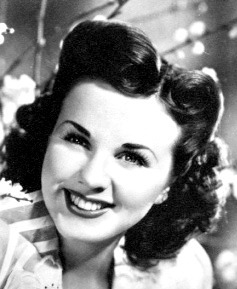 Betty Howell was the winner of a contest that determined which Devotee most closely resembled Deanna Durbin. 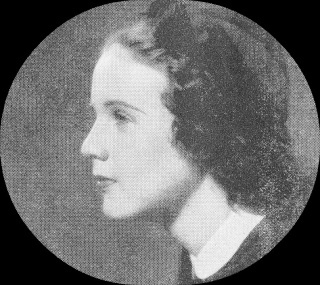 INTERESTING NOTE: In real life, Deanna Durbin's movie stand-ins included Betty Harrison & Marie Osborne Yeats. 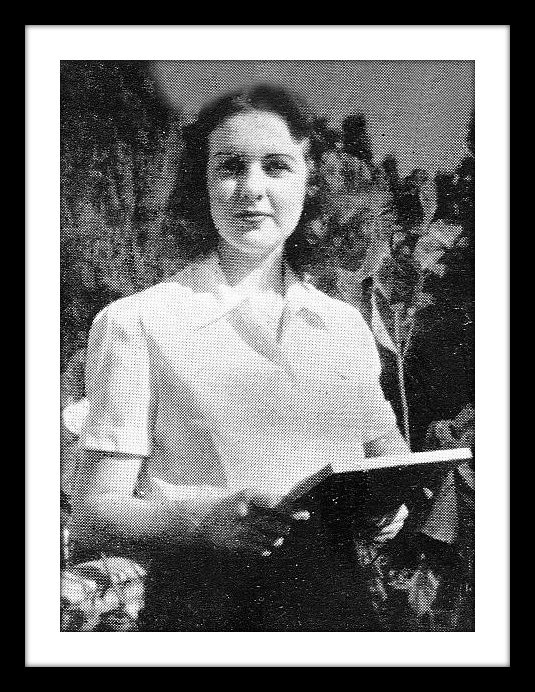 Devotee Loraine McGrath was the champion collector of Deanna Durbin items. She had four scrapbooks with clippings and 1,500 pictures. 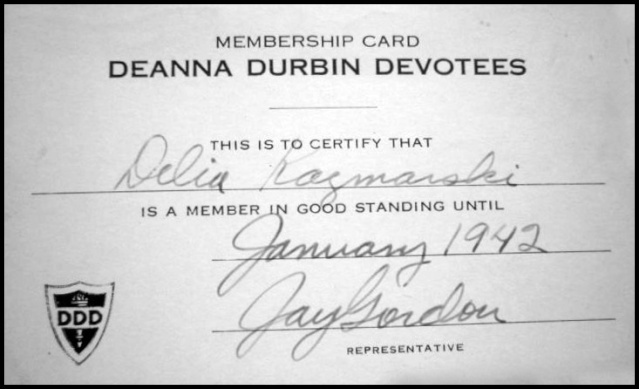 In the 1938, the Devotees voted against a merger with Deanna's Canadian fans called the Durbinites. "Love her? Why we are thrilled every time we see her; she is the greatest little girl in the world!" The only requirement for Harvard membership was that a prospective member must see every Deanna Durbin movie three times and dream about her four nights in succession. 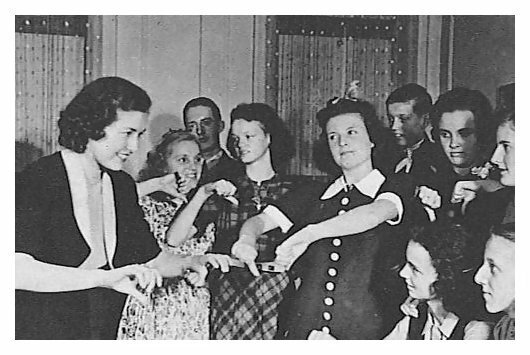 Because of that silly rule, a feud began with the Deanna Durbin Devotees. 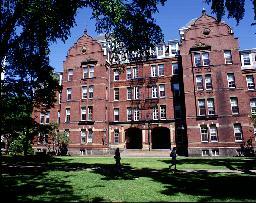 When Nelson Blair, who was the National Secretary of the Devotees at that time, was informed of the Harvard club's stiff admission requirements, he replied that the Devotees were much more loyal to "the most beautiful girl in the world." Blair also stated that he had seen ONE HUNDRED MEN AND A GIRL 24 times. INTERESTING NOTE: Another Devotee had seen MAD ABOUT MUSIC 144 times and counting! "I like a lot of things, but mostly I like you, Devotees, to continue liking me." "1939 is swiftly drawing to a close and I want you all to know how much your association has meant to me. I am still at a loss for a way to adequately express my thanks for the interesting letters, cards, and lovely presents with which you have showered me during the past year. Please forgive me for being so slow in answering your letters. All have been safely filed away and each one of you will hear from me just as soon as I have a few minutes to spend with my typewriter. Since we finished FIRST LOVE, I have been doing my best to catch up with my correspondence, but there is so much of it I hardly know where to begin. 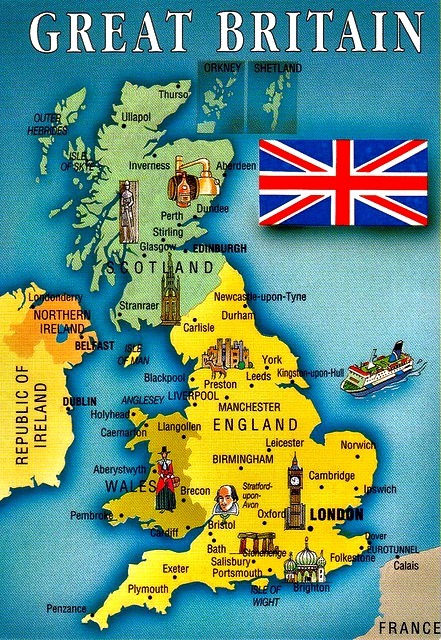 You are a grand group of friends to be so patient and I appreciate it very much."